Below is an outline of the history behind Coniston Mountain Rescue, then further down you can see our membership timeline with the historical records of who has been a part of Coniston MRT. Prior to the Team’s formation in 1947 and in the earlier years, most rescues were of fallen rock climbers. These rescues were performed by the victim’s friends, other fellow climbers and any willing volunteer, whether local or visitor. In the very early years the casualty may have been carried strapped to a gate, hastily removed from its hinges, and taken to a horse and cart which had been brought to the nearest point on the track. Early incidents include the fatal air crash on Great Carrs on the night of 22nd October 1944, when a Halifax Bomber on exercise from Topcliffe in Yorkshire had become lost in fog over the Lake District. Halifax LL505 was flying from West to East and it is believed the crew had decided to descend to try to get a better visual fix on a land mark. Sadly all 8 crew – seven Canadians and one Scot perished. 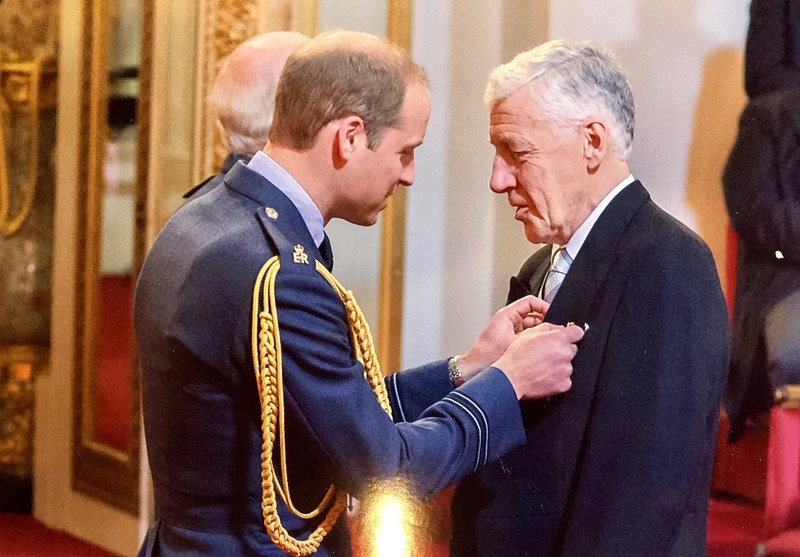 An RAF Mountain Rescue Team from RAF Millom is believed to have attended, and so did a number of villagers including Jack Hellen who was to become a founding member of Coniston Fells Rescue Party, which eventually became Coniston Mountain Rescue Team. Villagers also rallied round to help a local quarry worker on 14th December 1937. Jim Long and his colleague Matthew Walker had both been working in Spion Kop quarry. high on the Eastern slope of Coniston Old Man. Heavy snow was falling and a gale had started to drift the snow. Older workers had already left and moved lower down to Saddlestone quarry, but Jim and Matthew had elected to stay on. At around 2 pm they decided that they should also make a move downhill. Soon after setting off an avalanche of snow from one of the quarry waste heaps overwhelmed them and swept them both down the mountainside. Matthew Walker was stopped on a rocky ledge and when he reoriented himself and realised Jim had disappeared completely and couldn’t be found. Matthew therefore struggled down to Saddlestone quarry where George Coward, the Foreman organised a search party. Nothing was found and after one and a half hours the search was abandoned due to darkness and worsening conditions. The rescuers returned home for dry clothes and food and set out again at 7:30 armed with lanterns and hoping that some moonlight would assist their search. The weather continued to hamper their efforts but they soldiered on and at about 2:30 am, during a lull in the gale, they heard a cry in response to their shouts. visibility was poor – about 9 yards; it was about another 15 minutes or so before they found an outstretched arm emerging from the snow, Jim had been found, alive! Jim was carried through waist deep drifts to Saddlestone quarry where he was warmed in front of a fire and dressed in dry clothes. Once sufficiently revived he was stretchered down to the village, where they arrived at 6:30 am. At the recommendation of Coniston Parish Council, George Coward was presented with the British Empire Medal for “Leadership and Courage” in the New Year’s Honours list of 1939. Christmas 2016 was the 70th anniversary of the tragic event which lead to the formation of what was to become Coniston Mountain Rescue Team, the first volunteer mountain rescue team in England. On Friday 20th December 1946 Mr Ernest Sivyer (41), from Middlesex, arrived with his wife at the Holiday Fellowship Association hostel at Monk Coniston where he had recently accepted a post as resident walking guide for the following season. Although he is described as being an experienced mountaineer he was unfamiliar with the Lake District, nevertheless he offered his services as a guide to others staying at the hostel. He set out that clear and frosty morning with a map and compass to plan routes for walking and climbing. By nightfall he had not returned so his wife contacted the police. A search was organised by the police and they established that Robert Birkett, a local farmer from Yewdale, had spoken to someone matching Mr Sivyer’s description who was going to climb the Yewdale fells. The weather deteriorated to heavy rain with full winter conditions on the fell tops over the weekend and, although an extensive search involving over 50 policemen drafted in from all over Lancashire, bloodhounds, local farmers and climbers including Jim Cameron and Tommy Usher, was carried out they failed to find any trace of Mr Sivyer for more than three days. The search was carried out in atrocious weather conditions by the police and willing volunteers in what was described, even at the time, as inadequate clothing (it would certainly not have been considered suitable nowadays)! My Sivyer’s body was found on Tuesday 24th, Christmas Eve, near the bottom of a crag, close to a waterfall known locally as the White Lady. His camera was open and hanging by its strap round his neck, prompting the authorities to speculate that he had been trying to take a photograph and had slipped on frozen ground. This search led to a meeting of the Coniston Parish Council at the instigation of County Councillor Stanley Baker on 24th January 1947. Those present at the meeting agreed to the creation of the Coniston Fells Rescue Party, to be formed mainly of local climbers and walkers. This included many people who had been involved in the search for Mr Sivyer, Jim Cameron and Tommy Usher amongst them. However the Parish Council could not fund this new rescue team. On 26th January Jim Cameron and two of the Appleyard brothers went climbing in Borrowdale, during tea afterwards down at High Lodore Farm they discussed the formation of a team and who might be willing to join. The following day John called round to a number of people hoping he might get 10 volunteers. As it happened he got 20 and they got together on the evening of 31st January in the bar of The Sun so this was, effectively, when the team was formed. They initially called themselves the Coniston Fells Rescue Party. The first training session was held on the weekend of 22nd/23rd February. On 13th April 1947, during another training session or meeting, word reached the village that a climber had fallen some 90 feet from Dow Crag, the main climbing crag in the Coniston area. The casualty was Jim Cameron who had therefore become the team’s first leader and casualty, he had been knocked unconscious and suffered a broken ankle. Jim went on to be team leader until 1975. When the gale was at its height. Lay one in a snowdrift deep. All thought of self was put aside. Help! Oh help, for here am I. For they knew the lost was found. Took him to a shelter near. was walking by those heroes’ side. Of that cold December morn. Who led them to their workmate Jim. Roy Cooksey was awarded MBE in New Years Honours List Dec 2008 for voluntary service to the Coniston Mountain Rescue Team. Roy Joined in 1970 and became a Team Leader in 1981 until 2007. Anthony Robinson was awarded an MBE 2016 (and is also an Honorary Vice President). 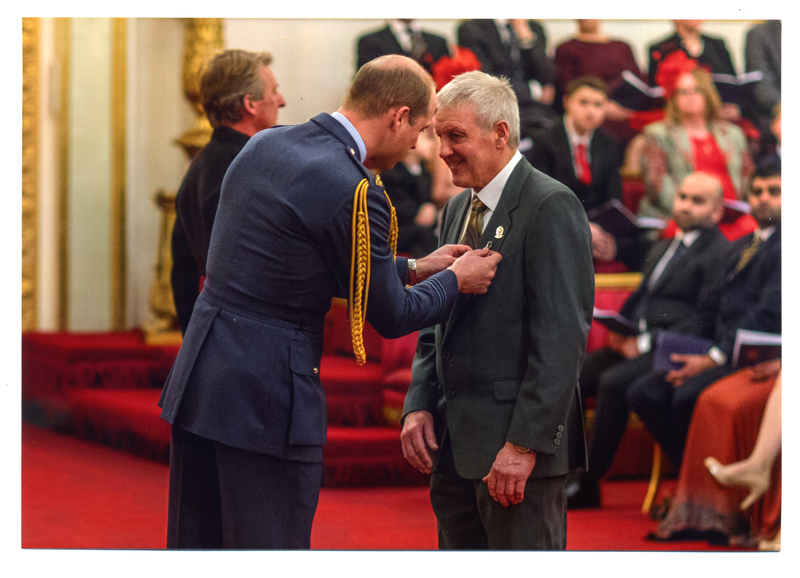 Anthony was awarded his MBE for services to Mountain Rescue and the community of Coniston with over 50 years of service. 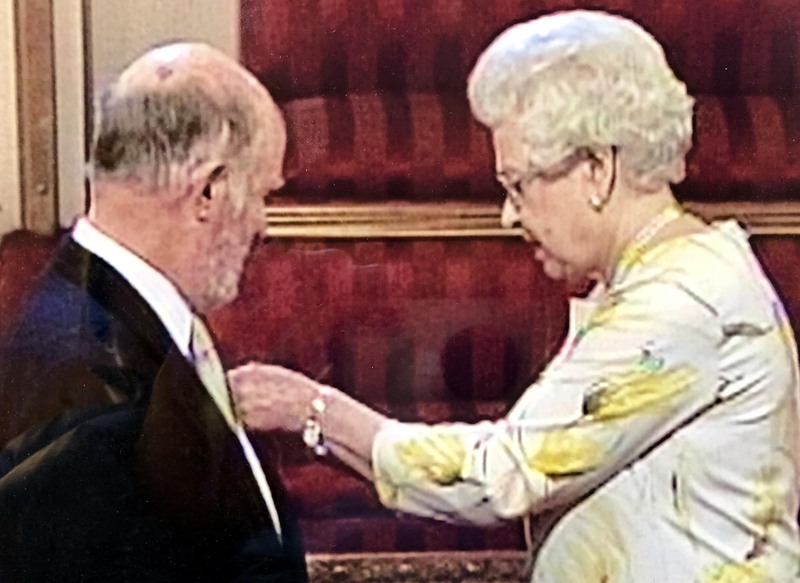 Malcolm Grindrod awarded an MBE 2018 (and also is an Honorary Vice President). Malcolm’s dedication to Mountain Rescue, and particularly training dogs, goes back some 55 years, something he should be very proud of. Malcolm is one of the founder members of LDMRSDA and as such has helped many of today’s handlers to achieve their goal of becoming a Graded Search Dog Team. His knowledge, experience and comical ‘tails’ of wisdom have often helped many a dog handler on a cold, wet fellside. This is awarded to a team member that has shown many years of service and commitment. These posts are an honorary position that remains in the teams timeline. John Anderson retires as Leader. Constitution altered. Leaders now appointed for max of 5 years. Assist – D Shepherd & C Langdon. Rob Robinson retires as team Leader. New leader – Caroline Langdon. New Leader – Rob Ingham. Roy Lake retires as Assistant T/L. Replaced by Andrew Simmonite. Andrew Simmonite resigns as Assistant T/L, replaced by Rob Jones.